Four top County tennis players joined in an exhibition match to mark the opening of Wolverley’s new tennis courts. In between showers the four, Phillip Siviter, David Slater, Bob Osbourne and Guy Litherland, provided the spectators with vintage tennis not normally seen locally. The club runs two men’s teams in the Kidderminster Tennis League. League officials gave a nod of approval when they viewed the new surface. Driving force behind fundraising was businessman Mr Neil Meese whose enthusiasm helped convince trust and the Wolverley Memorial Hall, who contributed to the venture. The contract was given to C. Hardwick so it really was a local effort. 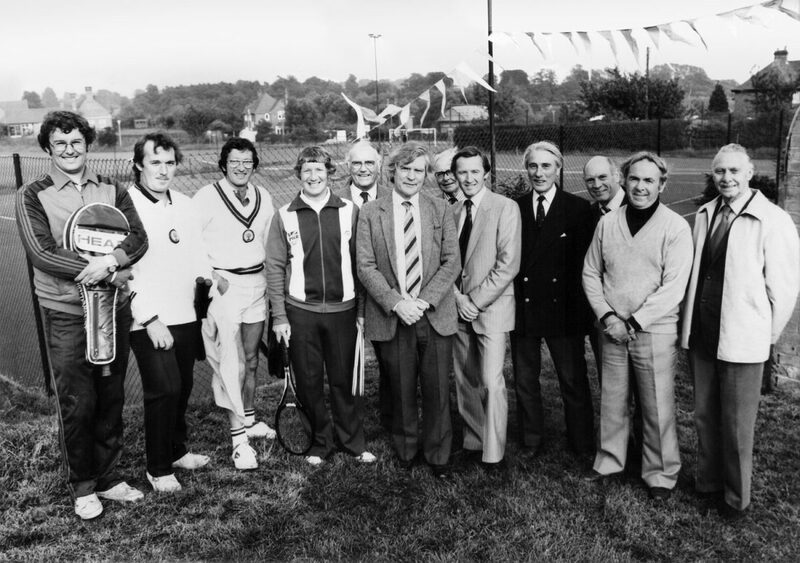 Here, players, club and league officials, along with the committee members of the Memorial Hall in front of the new tennis courts.